The charming villa is located in T4 block, Ciputra Hanoi with nice yard, open view, a spacious living room with big windows. Total land area is 180 sq.m, composed of 3 floors, 5 cozy bedrooms, 4 bathrooms with bathtubs and walk-in shower, a large living room and a modern equipped kitchen. It has front yard, back yard, and nice sidewalk surrounded. The rental villa is fully furnished with modern and high quality furniture. 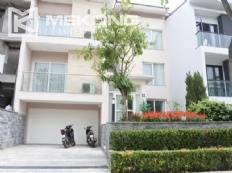 This charming 400 sqm villa is located in quiet area, Q block in Ciputra Hanoi, having an open and nice golf view from the back side of the villa with spacious backyard and garden. The villa is provided with modern, high quality furniture and equipment. Total land area is 400 sq m, designed with 3 floors, 5 bedrooms, 2 living rooms, an open kitchen and dinning area and a large back yard garden where you can put an outdoor table and chair, BBQ. 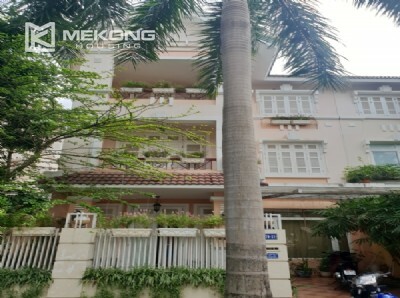 This rental villa is great located in C7 block, Ciputra Hanoi with total land area of 500 sqm, composed of 3 floors with large garden surrounded and swimming pool. The villa has 500 sqm land area and 600 sqm living area with front yard, back yard and nice sidewalk surrounding the villa. This rental villa is composed of 5 bedrooms, 4 bathrooms with walk-in shower and bathtub, a spacious living room, an open kitchen, large balconies with nice view of Ciputra landscape. Please contact us for more information of availabe villas in Ciputra Hanoi. Fully furnished house with 4 bedroooms for rent in C block, Ciputra Hanoi. Total land area is 126 sqm, composed of 3 floors with 4 bedrooms, 4 bathrooms, a living room and kitchen. The rental villa has front yard, back yard, garage, and a surrounded garden. It is airy and bright with many glass windows. 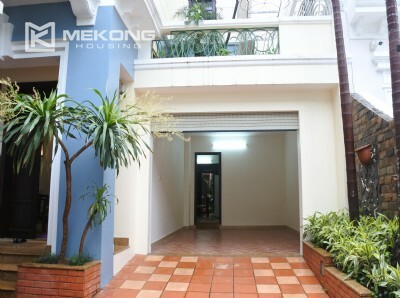 This rental house is located in quiet area - C4 block, Ciputra Hanoi. It is comprised of 3 floors, 4 bedrooms, 4 bathrooms, a nice living room and kitchen. The owner renovated to make the living room more spacious. It is provided full furniture. It is well fit for family with kids. 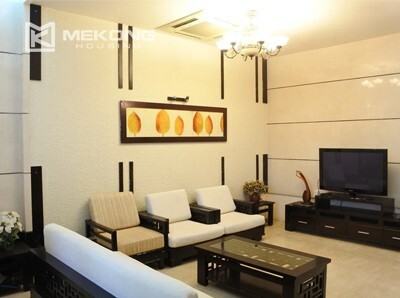 This spacious villa is located in Q block, Ciputra Hanoi. Total living area is 500 sqm, composing of big front and back yard. The villa has 3 floors, including 7 bedrooms with cozy decoration, 7 bathrooms, living room and an open kitchen.